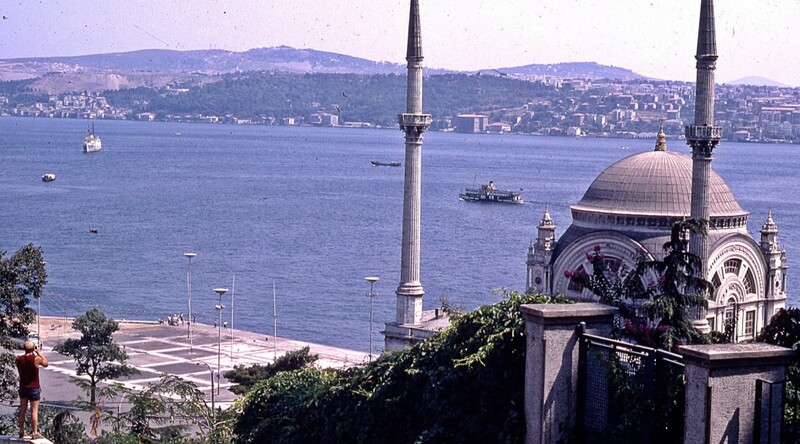 Jim and Johnny woke early to go into Istanbul to sort out Johnnies problems and also for a look around. During the morning the rest of the lads changed one of the front wheels for a good spare we had. Unfortunately though the inner tube sprung a leak and the whole procedure had to be repeated. During the afternoon, as yesterday, the sea was visited again to the satisfaction of everyone. Jim and Johnny returned shortly after tea after a rather exhaust…ing but interesting day in the city. Johnny arranged to pick up his travellers cheques in Tehran. About 20:00hrs we went across the road to a café adjoining a filling station and had a couple of beers which cost about 1s/6d a bottle. The weather was again hot and sunny with a slight sea breeze. 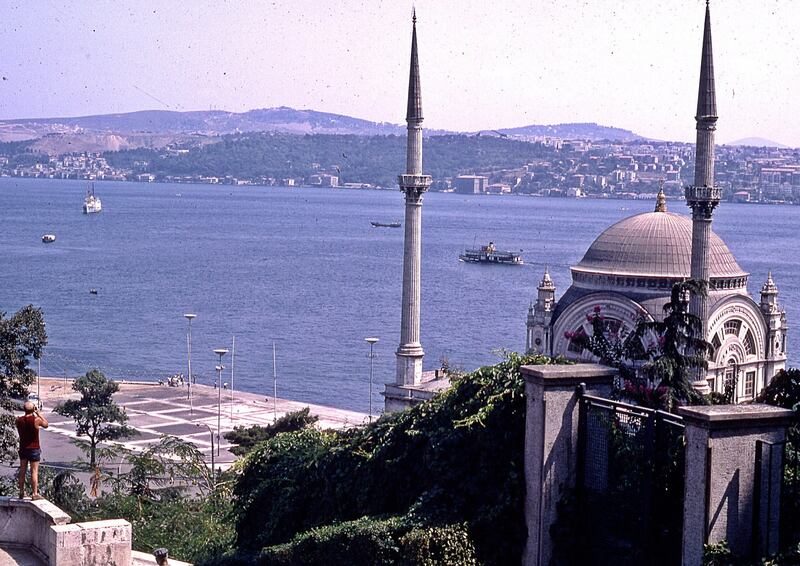 Below Istanbul & Bosphorus, it had never entered our heads if the ferries would be able to take a double decker bus? Well we’ll find out tomorrow.